While the whole world is fervently listening to Oppan Gangnam Style, I would like to take a moment and remove my earphones (and attempt to get rid of my current earworms of Oppan Gangnam Style and Korean drama OSTs) to listen to the rich sounds in Korea – because, after all, there’s more (so much more!) to Korea beyond K-pop and Hallyu. I like how strong sounds are connected to one’s emotion. Hearing a song or someone’s voice or a familiar tune, rhythm or beat can instantly trigger an emotion and reminisce a memory. 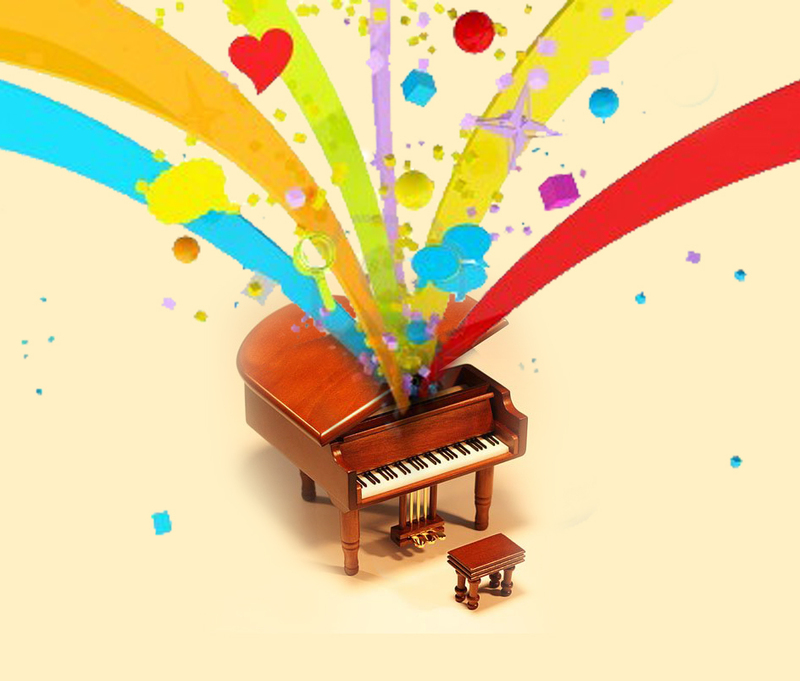 Sounds can capture some unique moments that cannot be seen or touched. I love the power of sounds that’s why I love listening to my surroundings. From sounds that represents great traditions to the sounds of everyday lives; from the sounds of nature to the faintest sounds of one’s heart. Korea, being a diverse nation where rich culture and traditions meet modernity; a dynamic country where there’s harmony between nature and technology- is indeed a world of sounds! Thus, I want to hear the different sounds of Korea… and store them in my heart forever. I want to hear the sounds of Korea’s rich culture and tradition. I want to hear Korean music – from pansori to trots on rest stops; from samulnori to Kpop blasting from the speakers around downtowns. I also want to hear performances be it in theaters or on the streets. I want to hear the language. With the Korean language being strikingly different from my own mother tongue I had always been curious about it and take it as an opportunity to learn more about Korean culture. After all, language and culture are tied together. I would like to explore as well the different dialects or satori in the different provinces and not to mention, the rich collection of onomatopoeias! I would love to attempt conversation with the friendly people – the strong and ever-helpful ahjummas, the warmhearted ahjussis, and the lovely little kids. I want to hear the sounds of fun. 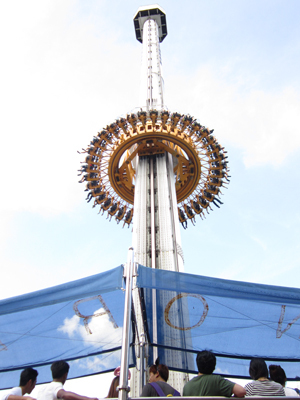 From the thrilled screams of Gyro Drop riders in Lotte World to the late-night singing in noraebangs. I want to hear technology. From the talking machines like the elevators announcing that the door is opening; or the T-money reloading machines; or the ATM machines; or the bus, subways and train announcements; or the T-money card readers that either thank you or nag you to swipe your T-money card again; to the different ringtones of smart phones and the 칙칙폭폭 (chikchikpokpok) of the Mugunhwa or KTX. I want to hear nature. From the seagulls in Ganghwado to the 구구 (gugu) of the pigeons in the parks. From the sounds of water flowing in Cheonggyecheon stream to the cicadas at night. 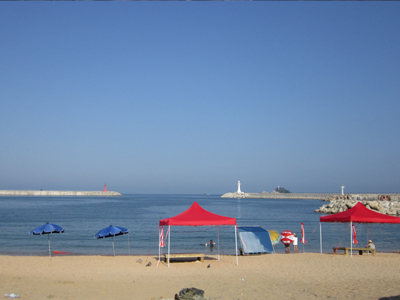 I want to hear the waves hitting the shores in Sokcho and Haeundae beaches. 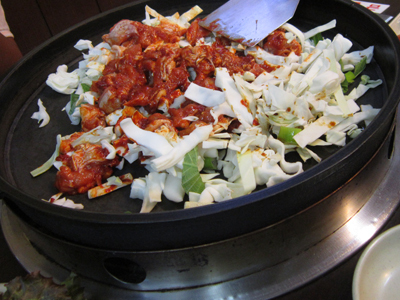 I want to hear the sounds of Korean food. From the 부글부글 (bugeul-bugeul) of a hot sundae soup from an eatery to the faint 지글지글 (jireul-jireul) sizzle of dakgalbi in Chuncheon. From the sound of cracking a chestnut open, to the slight drizzling of oil while grilling samgyupsal. I want to hear the sounds of everyday live. The call of the vegetable truck owner. The sounds from the markets. The sounds of the crowd in the shopping districts. The laughter of kids in the parks. The rustle of leaves. The 멍멍 (mongmong) of a street dog. And the 추록추록 of falling rain. Given a chance to be in Korea again, I would love to hear all of them and keep them all in the musicbox of my heart. 이번 역은 한국, 한국 역입니다. 내리실 문은 오른쪽입니디. This stop is Korea. The doors are on your right. The post above is my official application to the Asian On Air Program brought to us by Korea Tourism Organization (KTO), together with Korean Air. Photos on this post are from the personal file of the blogger. All photos are used with no intention of piracy or commercial intent. Whew! I’ve finally submitted my entry. Have you sent yours? ← [Announcement] buzzKOREA calls Korean Culture Bloggers! Last day of submission today! omg this is such an awesome post!!! i hope you get it!!! There’s so much more to DaeHanMinGuk than K-pop and Hallyu! 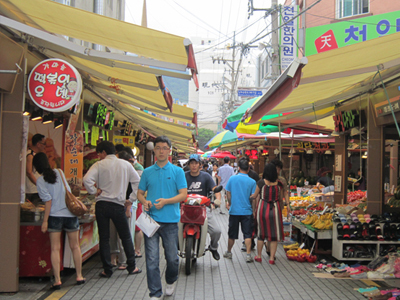 Are to just hear an Ajumma shouting at a street market…. 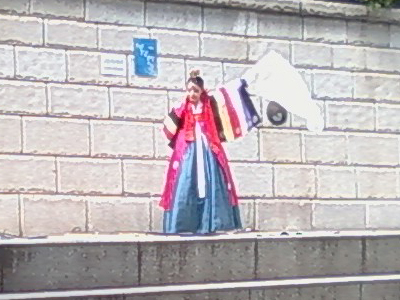 And to to hear the sounds of the ceremonies at Gyeongbukgung…. LOL – except for the darn vegetable trucks I agree. They were too early in my neighborhood. When I go back tho, it will be able to speak alot more than I do. Of course, it goes without saying that you’ll learn more, gain more, and retain more knowledge by experiencing life and the world. Can o have seoul metro sound? ?